Simply Fabulous! Big, beautiful, deep, low, stunning, rare French Club Chairs. 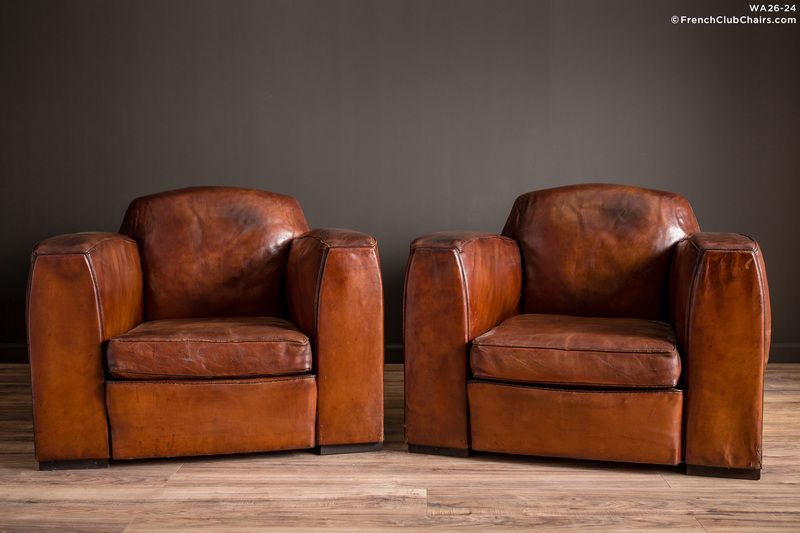 We have sold French Club chairs for almost 20 years now and we've never seen this style. Sumptuous style, all original leather circa late 1930s. One of Williams favorite pairs of all time! We particularly love the Deco, architectural front arm cut. measurements: depth-39", width-37", height-30", seat depth-25.5", seat width-20.5", seat height-14"